Chicago got some snow overnight and this morning. I'm happy it's Friday and plan to enjoy some rest and relaxation over the next two days... and hopefully some productivity too! But before we head into the weekend, I wanted to share a little recipe. I made this Chicken Enchilada soup on Super Bowl Sunday. 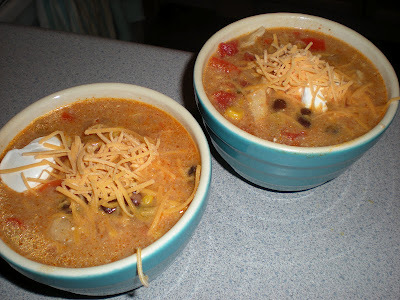 (Hmm, my family and I were just emailing today about our love of southwestern-style food.) Gotta love crockpot meals... not only are they are super easy to make, but you can also adapt them to your preferences or what's in your pantry. 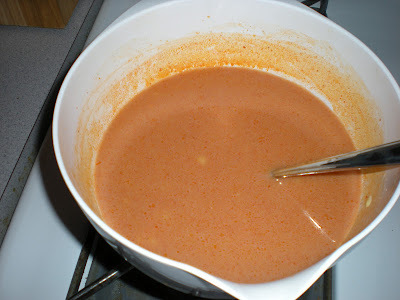 I threw all the ingredients into the pot in the afternoon and served up the finished soup during Madonna's halftime show. 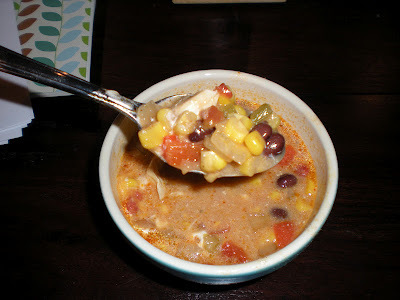 Then Scott and I ate the leftovers throughout the week (yes, it's just as good left over). Look at all those cans... can't get much easier than that! 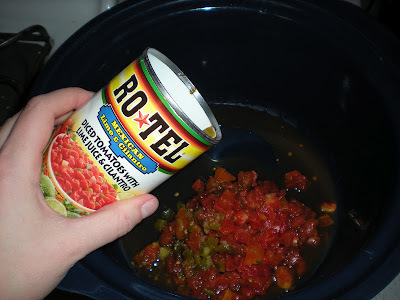 1) Pour the whole can of stewed tomatoes into your crock pot, juice included. Diced tomatoes work best. 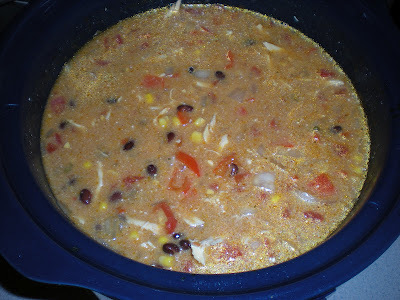 I skipped the separate lime juice and cilantro since the tomatoes had some already. 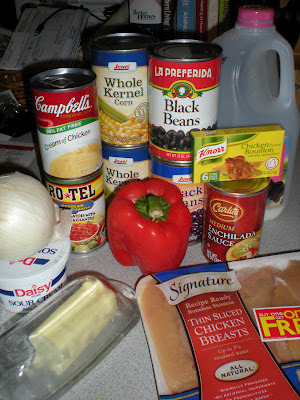 2) Drain and rinse the black beans and add them to the pot. 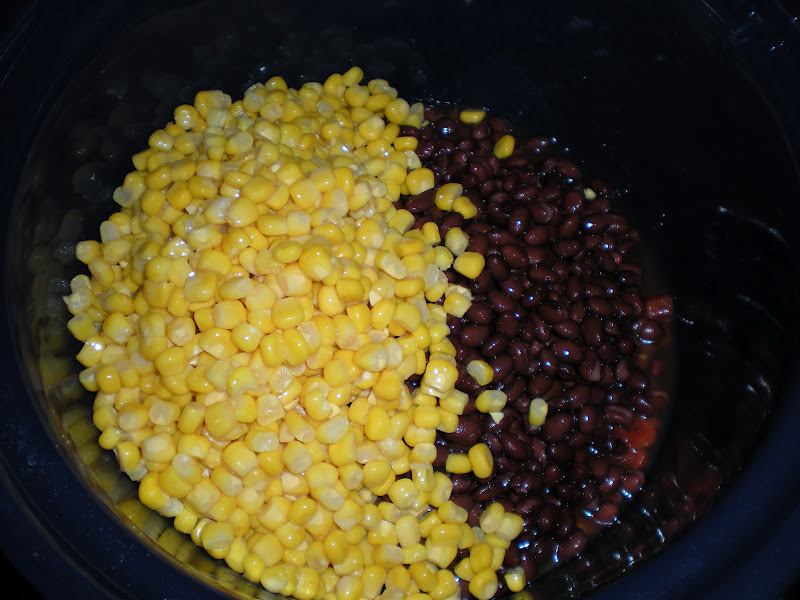 3) Drain the corn and add them as well. 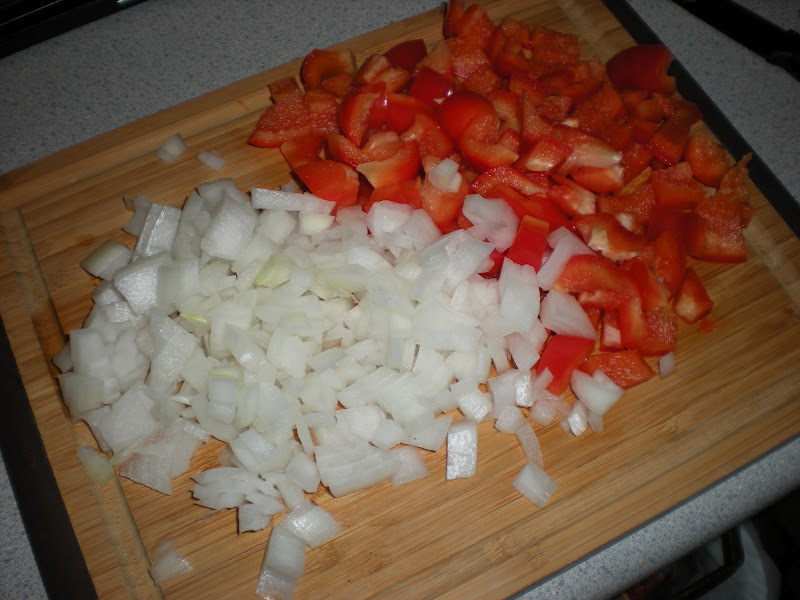 4) Roughly chop up 1/2 C onion and 1/2 C of red or green pepper and toss them in. 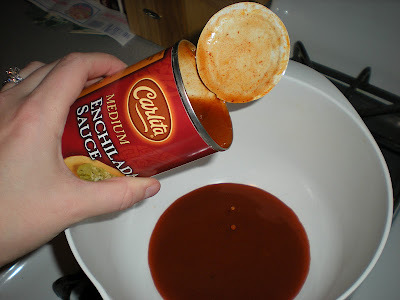 5) Pour the enchilada sauce into a medium sized mixing bowl. Add the cream of chicken soup, 2 1/2 C milk and then crumble the bullion cubes over the top. 6) Whisk it all together until nice and smooth. 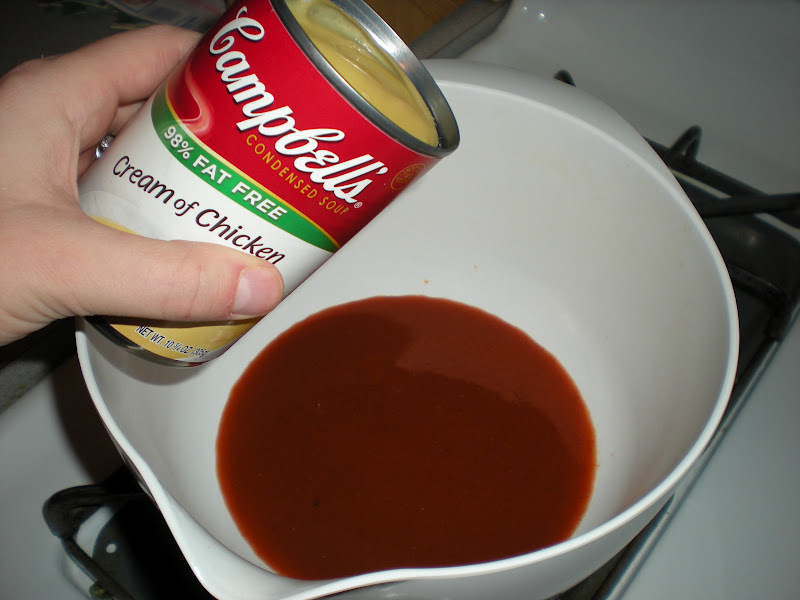 8) Pour the sauce over the top of the chicken. 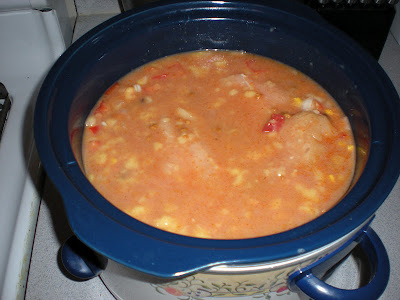 9) Cover your crock and cook on high for 4 hours or on low for 7-8, depending on how fast your crock pot cooks things. 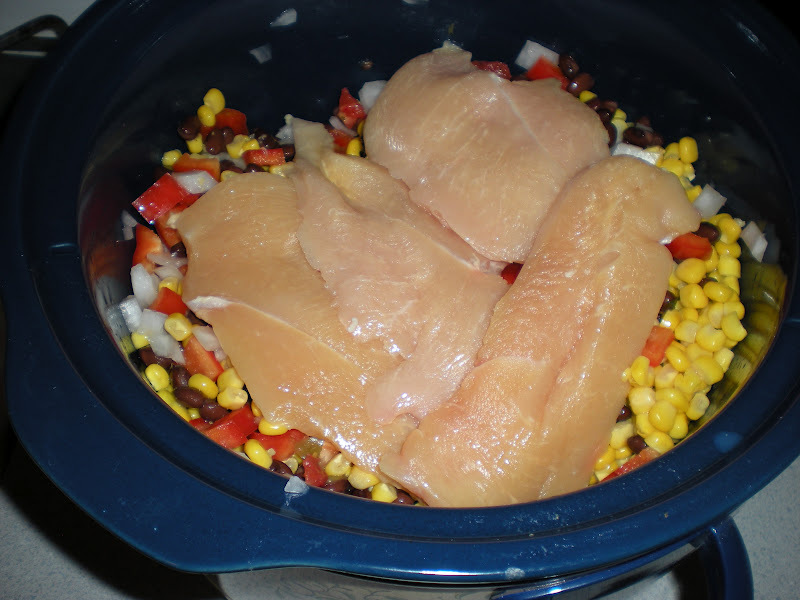 10) Remove the chicken and place it on a plate. Shred it with a fork. 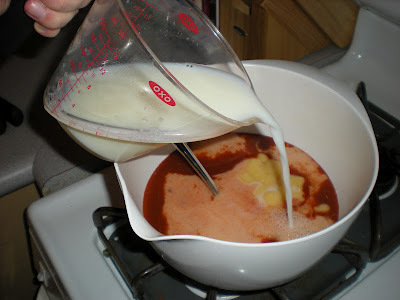 11) Add the 1/2 t lime juice, 1/3 C sour cream and 2 T butter to the soup. Whisk it in until the butter has melted and the sour cream is well combined. 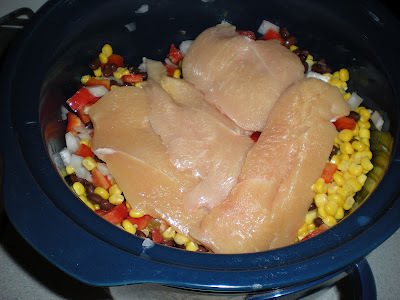 12) Toss your chicken back into the pot, give it a stir and you are ready to eat. 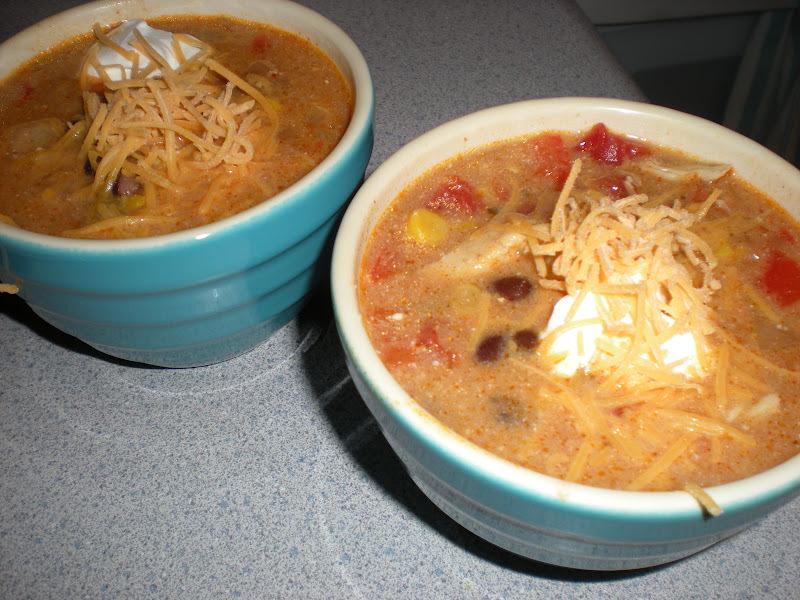 Serve with tortilla chips and cheddar cheese (I added an extra dallop of sour cream too!). Cilantro and avocado are also fabulous.